Welcome to our Trickster Rogue Guide, updated for the Heart of Fire, mod 15. In this guide, we will give you tips and info on how to play the Trickster Rogue class. The Trickster Rogue is a typical melee DPS class, relying mostly on stealth and cunning to attack their enemies from the shadows. They wield blades and daggers that they use to attack the mobs from the shadows. The purpose of our class guides is not just to show you a build that you can copy and use on your character, but to show you a base build and teach you the mechanics and stats of the game, so you can understand and play your class to its fullest capabilities. Try different gear, feats and powers and learn to tailor your own build for your playstyle. See our guide to making your own build for more info. Dragonborn: +2 to any stats. Dragon Heritage (5% extra healing from spells and abilities). Dragonborn Fury (3% extra power and crit). Half-Orc : +2 Dex, +2 Str / +2 Con. Furious Assault (5% more crit severity). Swift Charge (10% increased run speed when you enter combat). Human: +2 to any stats. Versatile Defense (3% extra defense). Heroic Effort (3 extra heroic feats). 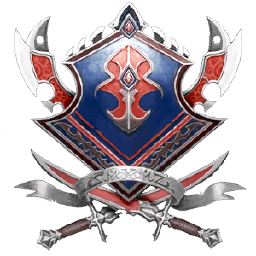 For stats in Neverwinter, aim to hit the hard/soft cap of your primary stat, then secondary and so forth. Try not to waste stats by going over the caps, and instead start gearing towards another stat. Executioner is mainly a Single Target build while Saboteur is for AoE. Having one of each in a loadout is ideal so that you can switch between trash and boss fights. The Executioner build is mostly for Boss fights. Saboteur is meant for AoE and solo play. If you still haven’t gotten all your boons, check out our Campaign Completion Guide, with info on how to complete all of the campaigns as fast as possible for all the boons. If you are new to Neverwinter and need to know how to get better gear and increase your item level, check out our Gearing Up Guide. The best way to gear up in Neverwinter is by making a lot of Astral Diamonds, check out our newly updated Astral Diamond Guide for mod 14 to learn all the secrets of AD farming. If you want to plan out your character and see what items are available the Neverwinter Character Simulator is a great tool. When getting enchantments, always get the ones with the stats you are lacking in with your gear, boons, etc in mind. For example, if you’ve capped Crit with your gear and boons, don’t get azure enchantments for your offense slots. If you still need to refine your enchantments, see our Refinement Guide for tips on how to farm refinement. Dragon’s Hoard x2 + QuartmasterX2 + 1 Fey Blessing or Dark Enchantments. Consider to get VIP for the Power of VIP HP buff if you aren’t already. Also always stand in campfires to get the +1 ability campfire buff. When choosing a Legendary Mount for the Mount Powers, look for a mount that has both a useful equip and combat power. The best choices for a first legendary mount as a Trickster Rogue is a Swarm. What other mounts you use is not that important. What is important is to get the right insignia bonuses, and many different mounts can offer the various bonuses. To find out what mount has the bonus you want, check out our Insignia Bonus Guide. All classes and specs should consider using Wanderer’s Fortune before you have refined all your gear and enchantments, for extra refinement every day. If you have any questions or suggestions about our Trickster Rogue guide, please leave a comment below! 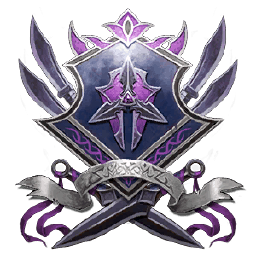 More info about the TR class can be found at The Neverwinter Reddit. More builds and further info can also be found at MMOMinds. Heel’s of fury and Fured Kiuno of the Bear works together? The Trickster Rogue guide has been updated for mod 15, the Heart of Fire.